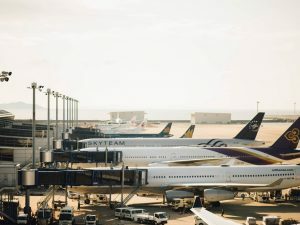 New generations of high school and college graduates are spending an unprecedented amount of time and money on travel. Raised on classic books like, Oh, The Places You’ll Go, it’s no surprise that millennials long for authentic adventures and uncharted waters. 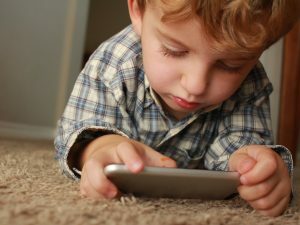 The trend is expected to continue and even grow with Generation Z. 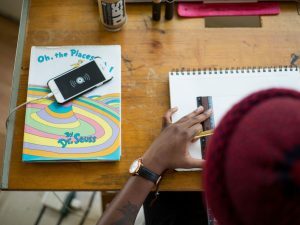 Many graduates will choose to take a gap year in a foreign country or a semester to study abroad. If your grad has incredible travel plans ahead, find a memorable gift they can use on their journey! 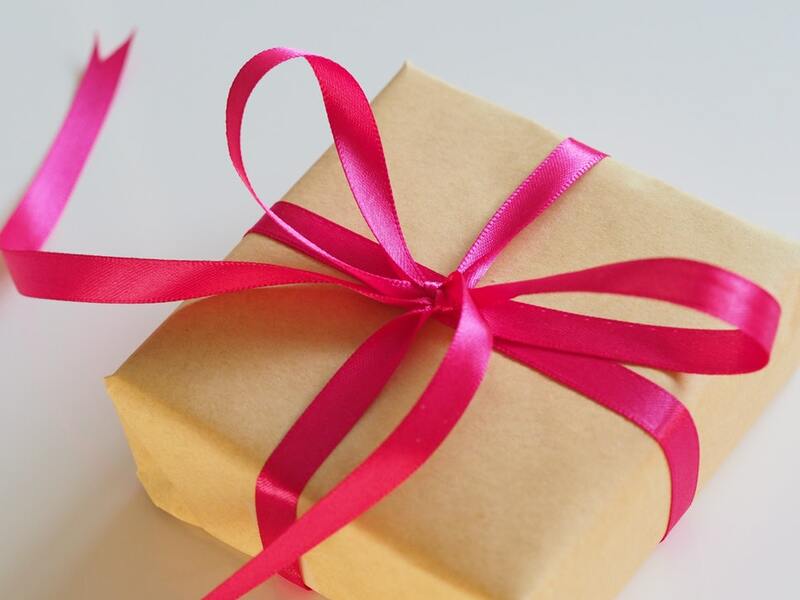 Here are some creative gift ideas they will love! The graduation season is an important time for reflecting, especially if your student is going abroad. A journal is a great way for them to put their thoughts and experiences into words. This Bucket List Journal from World Market contains fun writing prompts and questions. 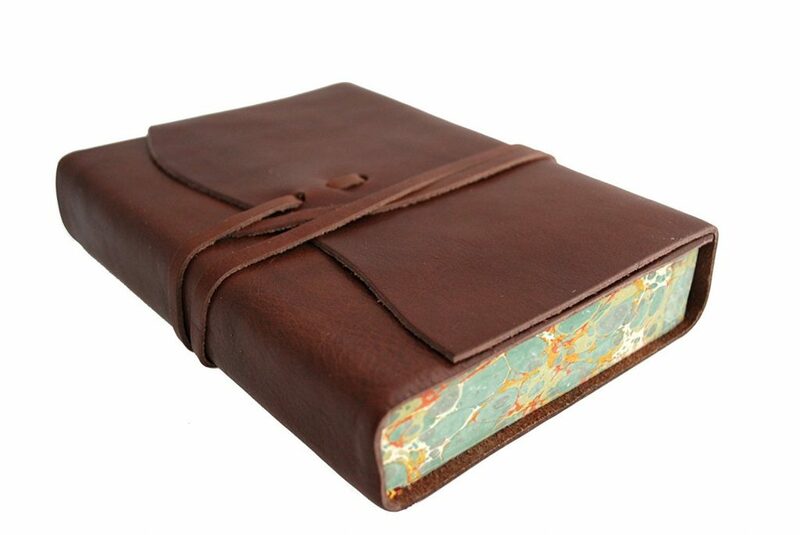 If you’re looking for something simple and portable, check out this collection by Bull & Stash or this chocolate brown leather journal, handmade in Florence, Italy. Cell phones have made photographers of us all. 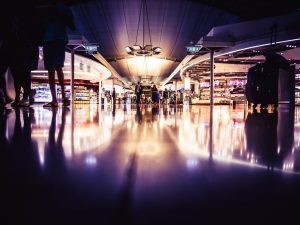 But if your grad has a particular interest in photography, a lightweight, compact camera might be the perfect way for them to document their adventures. This Fujifilm digital camera is great quality and easy to pack. 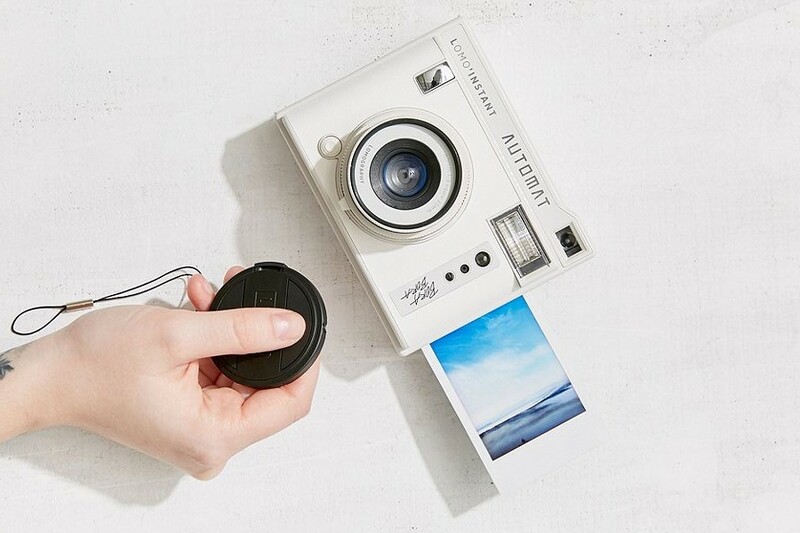 If your grad loves anything quirky or retro, surprise them with this polaroid from Urban Outfitters. You don’t realize how much you borrow your parents’ things until you leave home and get out on your own. Purchasing a full set of quality luggage is one more milestone in the “adulting” process. 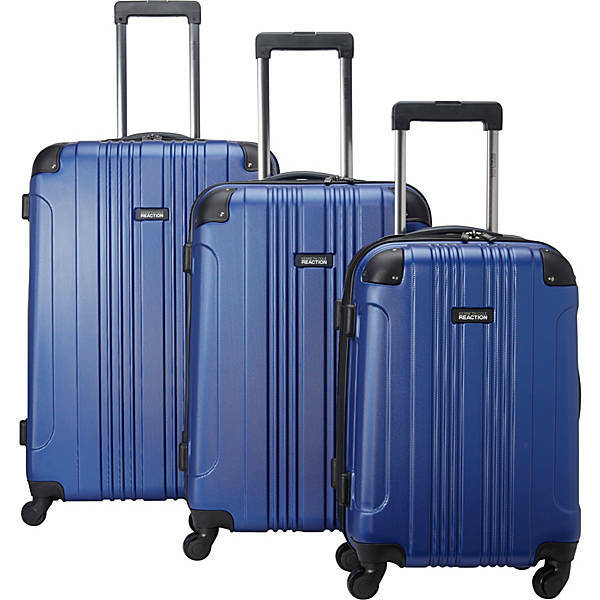 If you’re looking for a larger gift that will be used and appreciated for years to come, get your favorite grad a set like this Coolife softside luggage set or a hardside set by Kenneth Cole. 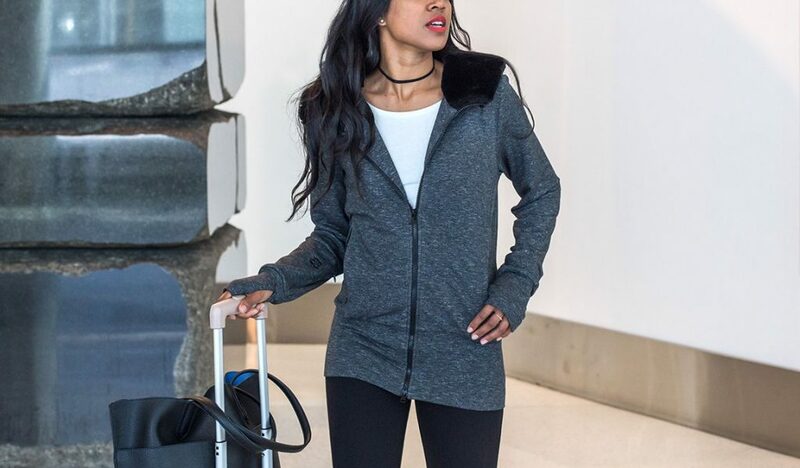 Travel style is all about layering (and pockets!). You can’t go wrong with a classic Under Armour or North Face sweatshirt. Betabrand’s Knockout Hoodie is everything you could ask for in a hoodie and more. The faux beaver fur hood reduces noise, contains a built-in eye mask and can even be rolled into a neck pillow! 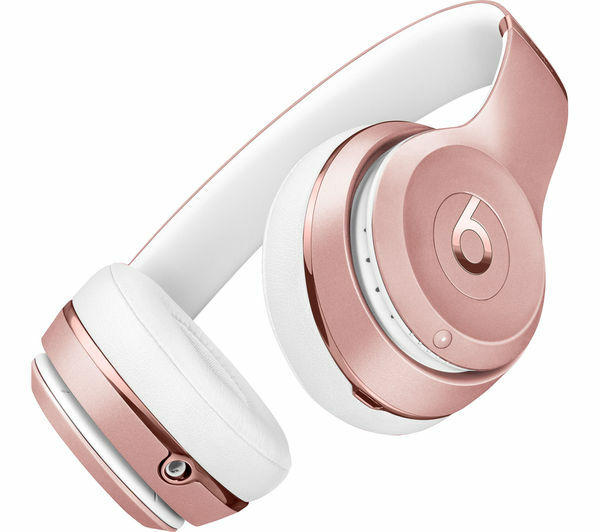 Headphones are a great gift for the grad going off to college or traveling abroad. Opt for a quality, noise-canceling set that will help block out the sounds of the dorm and a 737. Bose and Beats are two great choices! Oh, the places they’ve been! 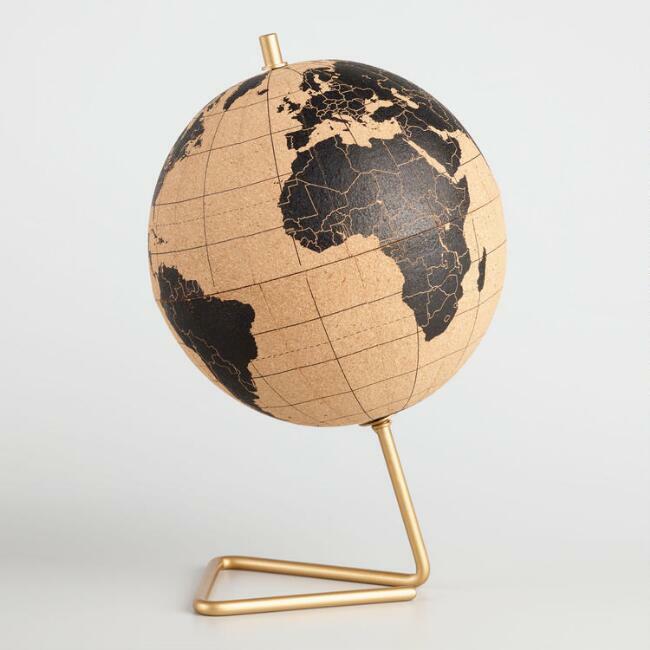 A cork globe is a fun accent piece for any dorm room or for your very first office space. Your student can track the places they’ve visited and dream of many more trips to come! If desk space is limited, a corkboard map is a great alternative for an empty wall. A passport case is a must-have for the frequent traveler. 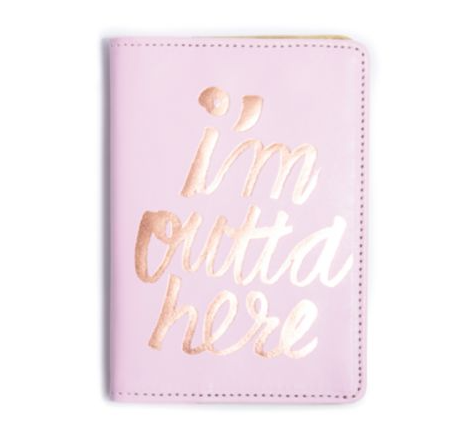 Pick up this fun “I’m Outta Here” case from Saks Fifth Avenue or a sleek, classic leather case from Madewell. If you are about to graduate and travel abroad, we want to hear your ideas! Comment below and let us know what you would love to get! *This post is not sponsored by any of the companies listed above.